An application to turn a Ramsgate pub into housing has been refused. The proposal outlined in planning documents was to create three homes at the Chilton Tavern in Pegwell Road. Minimal changes were expected to be made to the façade of the building. In documents submitted by agents LT Drawing Services it says the Tavern is no longer viable as a pub and the business has seen takings decrease considerably over the past 10-year period due to the impact of no-smoking legislation and cheaper sales of alcohol being provided by local retail outlets. The document states: “At present the pub is struggling to attract patrons and is not viable as a public house competing with local family pubs and restaurants which have the space and gardens to attract families and tourists alike. “It is however recognised that it is a long standing and valued community facility. The economic reality is that for most pubs, unless they are able to offer a particular service such as a high-quality restaurant, a vibrant live entertainment scheme or some other important cache, they are unviable. They simply can’t survive with a handful of regulars and an occasional event. The result has been wholesale and massive pub closure both in urban and in rural areas. “There are a large number of former public houses, located on residential streets which historically traded on the locals spending considerable amounts of time frequenting and using their services, however society has changed over the past 10-15 years and no-longer can these local public houses provide for the local community who increasing wish for family orientated establishments with safe and secure gardens and recreational facilities. 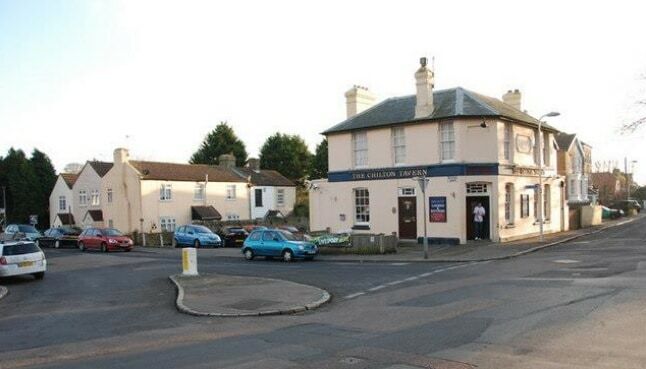 “The proposal recognises the difficulties of running a local pub such as The Chilton Tavern in this location, which, without a radical change, the building will either close because it is simply not viable, or be run in a way that will seek to improve its viability by extended opening hours, live music functions etc. But that kind of development, if it were possible, would impact upon the living conditions of neighbours. The application was supported by Ramsgate Town Council. Thanet council’s decision to refuse permission was issued yesterday (October 12) although there are no accompanying documents to state the reason for the refusal. This is completely amazing when Thanet is being forced to develop so many new homes. As long as this planned development is not for luxury housing out of reach of the average Thanet resident, they must be forced to reconsider and pass this proposal. Local Councillors must be involved due to this decision. Get it ‘called in’ so it has to go before a planning meeting. Form a residents association, amend plans submitted, and in writing ask TDC to fully explain this astounding decision. TDC planning dept did you just rubber stamp this refusal without even studying it is for three more homes to be created? That is indicative of the many atrocious decisions made by you.